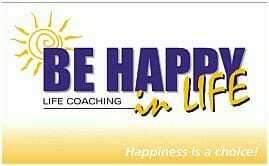 Frequently asked questions about the Be Happy in LIFE teen coaching programs, including why we are your best choice, where it all happens, how long it takes, how much it costs, what happens if you don’t live in Brisbane and more. What is the right age for teen coaching? Can parents attend the teen coaching sessions? 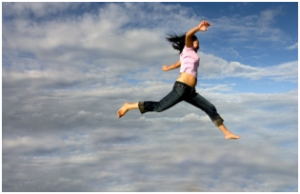 Do you guarantee results from your teen coaching? Who needs to sign the teen coaching agreement? What is the difference between teen coaching and counselling? What is the difference between teen coaching and educating? 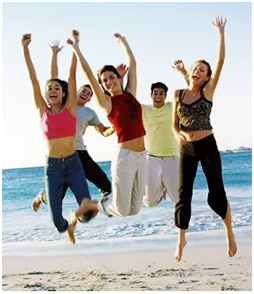 What’s special about the Be Happy in LIFE teen coaching program? Do we need to commit to a certain number of teen coaching sessions? How many teen coaching sessions do I need? How long is each teen coaching session? How often will my teen meet with the coach? What if my teen lives far away from Brisbane? How much does teen coaching cost? Children normally develop critical thinking around the age of 12. At this stage, they prefer to be independent and “do their own thing”, including coaching. Therefore, teen coaching suits them, because it “gives them the stage” and guarantees their privacy, including from their parents. If your child is younger, consider our child coaching service. No, parents cannot attend the teen coaching sessions as they are designed to empower the teen and allow him/her to develop skills to increase their emotional intelligence and improve their health, wellbeing and success. This process is only possible without the presence of the parent during the session. However, we believe that parents involvement and participation, through the teen’s homework and activities is essential to the teen’s success therefore we incorporated assignments for the teens to complete that will allow you to be involved and aware of every aspect of the program. If your teen takes the face-to-face coaching, we ask that you (or your partner) join us for the first 10-15 minutes of the first session. This is to cover the basic information that both parents and teen need to know for best results. We recommend a session for the parents after every 3 sessions with the teen. This is to update the parents about what they can do at home to increase the success and sustainability of the changes. Some parents want to go through the parent coaching program to help themselves help their teens. We encourage parents to do so and our long experience proves their teen’s success is doubled. Seeing the best life coach is life changing experience but having a parent with the right coaching skills and mentality is powerful beyond measure and guarantees a lifelong success. Yes. Be Happy in LIFE guarantees that if your teen follows their goals and action steps, open themselves fully to their coaching and dedicate enough time and effort, they will get great results from their teen coaching. We use many effective ways to coach them towards that. Every session, they will learn a different technique and we will give them extra work to incorporate the new learning into their life. With a track record of thousands of clients, we are confident that this program will help your teen make a change in his/her life towards the desired results. Absolutely! Be Happy in LIFE guarantees never to use any details or anything client say without getting their permission first. At the end of the program, they will be asked to write a feedback and they can choose whether you want this information to stay confidential or not. Please note: we guarantee the privacy of our client therefore we will not be able to discuss with you any information disclosed in the session with your teen. When we think the information it is very important for you to know, we will encourage your teen to share this information with you. We pride ourselves for successfully supporting teens in sharing the information willingly. The teen coaching program is designed in such a way that teens are asked to share and work with their parents or guardians to stretch themselves and grow. Who needs to sign a Teen coaching agreement? If the teens are under the age of 18, their parents sign the agreement as guardians. If they are mature by the law, they will sign their own agreement. Our teen coaching agreement is a good way to help our clients feel that they will get a quality service, but also to get commitment from them, which is essential. The agreement sets out the terms and conditions for a successful delivery of the teen coaching service and for achieving results. Be Happy in LIFE uses a simple but comprehensive agreement as a good foundation for any life coaching adventure. In teen coaching, we do not dwell on the reasons, because we want to avoid this negative outcome. Instead, we focus on the future, because no matter what has happened in the past, any person can make it better and learn to achieve, grow and be happy. What is the difference between teen coaching and teaching or educating? Everyone can benefit from learning about the way our brain works and the theories and research available to help us achieve happiness and especially when they are young. The knowledge is applicable to everyone, but not everyone can implement it. Teen coaching is more than teaching. It gives clients the knowledge of what they need to do, the tools that help them do it and the support and guidance they need along the way until they gain control over their mind, body and soul. The life coach will stay with them as long as they want and help them implement those new skills. Teen coaching deals with the things that are important to the teens, not to anybody else. This makes teen coaching incredibly effective, because you and your teen can see positive results right away and this encourages teens to continue, so they get better and better results. At the same time, their confidence grows, until they feel you can handle just about anything, and then they are happy. We have done extensive research on communication styles, love languages, motivation and rapport building and added these powerful tools to our teen coaching toolkit. Time and time again, we see how these tools help our clients come to terms with who they are (“I’m OK”), who they are dealing with (“You’re OK”) and how to relate effectively. They also learn to “store” positiveness and love during good times for “emotional winters”, when these reserves come in handy. Our teen coaching program is holistic and long-term focused. We work with your teen to build emotional intelligence and then teach him/her how to sustain and even enhance the positive changes in themselves and their environment. In a sense, teens become their own life coaches. This combination ensures sustainable change and growth long after the teen coaching is over. Ronit is the founder and director of Be Happy in LIFE programs. She is teaching at the University of Queensland and a trainer for the institute of public administrators (IPAA) Queensland. She is the State Director of Together for Humanity Foundation and the school’s program director of the Global Learning Centre and has conducted many workshops and presentation in Australia and overseas. 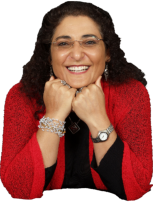 Ronit is an experienced and powerful life coach, delivering inspiring messages of love, respect, acceptance, motivation and determination to 50,000 people who attended her life coaching sessions, workshops or presentation all around the world. Ronit has helped many teens around the world establish great relationships with their parents and discover the joys of being a healthy, happy teen. She has been teaching, coaching, presenting and writing over 27 years. Her educational writing appeared educational magazines around Australia. 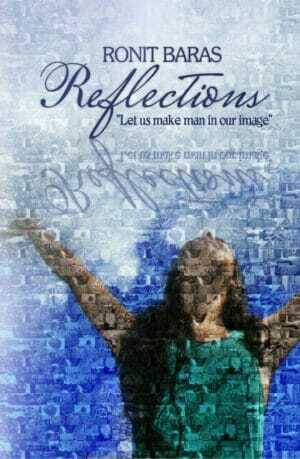 Her blog “Family Matters” is a great practical resource for life coaches, parents and teachers, already containing over 1000 articles on personal development, education, relationships, family life and parenting. This blog attracts about 50,000 readers from around the world each month. Ronit strongly believe that teens have the power to succeed in life and that equipping them with emotional management skills results in tremendous achievements for them and everyone around them. She thinks that by creating confident, motivated, focused teens with a strong sense of identity, we can make a big difference in their world and ours. Confidence, resilience and motivation are essential on the road to success and we gain them by knowing ourselves, taking responsibility and being focused. No one is born with these skills, but everyone can learn them and the sooner the better. Teenagers have a chance to discover who they really are gain the confidence, resilience and motivation to succeed when they are still young. No. In many teen coaching arrangements, you will be asked to commit to 3, 5, 10 or more teen coaching sessions and pay for them in advance. We believe that commitment is essential to y success, but we are confident in our ability to give tremendous value with our teen coaching without advance payment. Commitment to an unknown journey defeats the purpose of our teen coaching program, because it takes away control rather than giving it to the clients. We want our clients to come to our teen coaching sessions because they see the value, not because we hold their money they have paid in advance. In our teen coaching agreement, clients commit only to doing their best for themselves and paying for the sessions that they receive. You may stop at any stage. In fact, with teens, we aim to finish the program as soon as possible to prevent them from considering themselves as “needing help” and “fixing” so when they are on the right track we prepare them for separation and ask them after every session if they still think they need to come. How many teen coaching sessions do we need? The full life coaching program contains 25 modules that are matched to each client based on their needs. For the teen’s program, we picked the first most effective and profound sessions and no teen have ever used more than 10. We recommend clients to use our “3+1” format, which is 3 sessions with the teen and 1 session with the parents. In most cases, only one round of sessions is required. In more sensitive situations, we may suggest one more round. Our goal is to make sure the program is short so teens do not create a dependency. The more they use therapists, the more inadequate they may feel, which is the opposite of what life coaching is all about (empowerment). The more quickly they reach their goal, the more successful they see themselves. Teen coaching sessions take about 90 minutes, but we ask that you allow for 2 hours when arranging drop off and pick up. We do not believe in “one size fits all” and we will not stop the session because the time is up. If we are in the middle of something important, we will take the time to complete the session, even if that extends the time. Most of our coaching clients want to start seeing results quickly and we believe that gradual, steady improvement is much more permanent so we have scheduled the session to increase the gap. To help our clients stay motivated and incorporate their learning into their daily life, we have designed the program to increase the gaps between the sessions gradually. The gap between sessions 1 and 2 is 1-2 weeks. The parents’ session can be scheduled immediately after the last session with the teen. If you do the calculation you will find that it will require 4-5 month to complete 5 sessions or a year to complete 10 sessions. All clients, even those wanting to “speed” the process and meet every week end up extending the gaps between the sessions. We believe this is a healthy process and a sign of growth, independence and confidence and around session 4 we encourage our clients to take control over their growth and development and determine their desired gap. No, not everyone is the same and not everyone is 100% comfortable with increasing the gaps in between sessions, this is why the coach will be in email or phone contact with the clients to assess if the gap is healthy or too long. If things happen in between and the client needs to see your coach earlier, they are be able to contact the coach and re-schedule their session to suit their needs. In between sessions the life coach will provide ongoing support outside the sessions and encourage clients to spend as much time as they feel comfortable exploring and integrating their new skills. I coach teens from all around the world. If they don’t live close Brisbane, Australia, I coach them through Skype. In some cases, when the situation requires fast changes, I need to use many NLP techniques that work better when the teen is physically next to me. Therefore, I encourage parents of young teens, who cannot come physically to see me, to consider parent coaching, so that I can teach them how to help their kids and they can use the same techniques I use every day at home. If your teen is less than 14 years old, does not cooperate or cannot come to see me in person, please consider parent coaching. This will enable you to help your teen, deliver quick, lasting results and help any other children you may have. Often, people around the client need help too and having a coaching mentality can help explain to those people how to support the client’s change. We are sure that difficulties and challenges will be part of any client’s life and push him/her off course. Having the right tools, the right habits and the right mentality will help every person taking the program to coach him/herself back on track. Some coaches believe we are giving away trade secrets, but we think everyone should know how to be happy in life. Each teen coaching session costs AUD275, including GST. When registering a minor (under the age of 18), their parents/guardians will receive a tax invoice for each session. Choose to help your teen be happy right now. Complete the form below to find out more. Does Your Teen Want Coaching?